Leaving Marble Falls, heading North on Hwy 281 towards Burnet, house will be on your right. Spring in Texas. 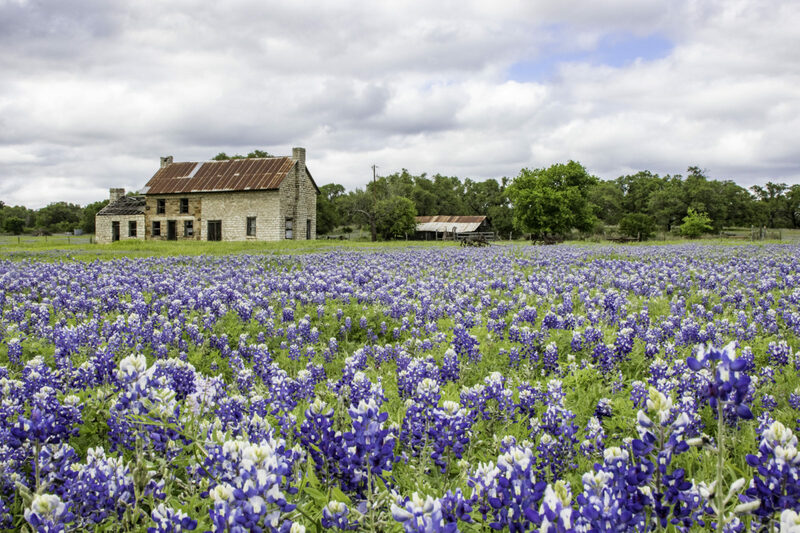 A field of bluebonnet wildflowers surround an old stone house near Burnet Texas.